After the Myanmar cuisines dinner with felix, we proceed to Kbox at cineleisure. Soon, Kelvin came, follow by Beng2 near midnight. 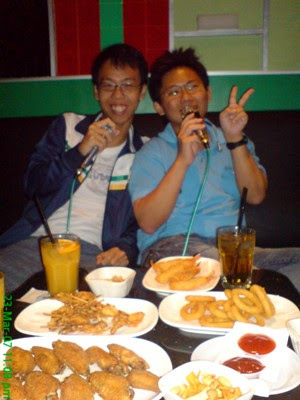 Today is only 50% attendance, too bad for the rest of the gang who din managed to make it to today's KTV. Who is the creative director? I mean real one leh, his job is really creative director leh! We broke a new record!!!!! 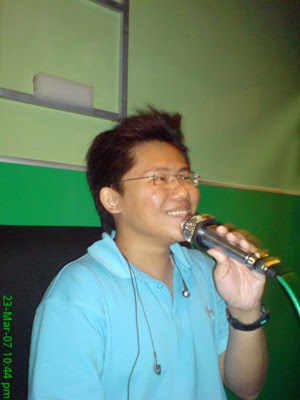 The KTV "mini marathon" was from 9pm till 5am!! !